Section 1. The name of this organization shall be Shaw Pit Bull Rescue, Inc. (hereinafter the “Corporation”), a non-profit organization incorporated under the laws of the State of Mississippi governing non-profit educational and charitable corporations. Section 2. The office of Shaw Pit Bull Rescue (SPBR) shall be 158 Center Road, Columbus, MS 39702. SPBR may also maintain offices at such other places as the Board of Directors may from time to time determine. Section 3. The organization is formed and operated on a non-profit basis; no part of any net earning and no dividends or other profits shall accrue to the benefit of any member or individual. A. To carry out rescue efforts that aid American Pit Bull Terriers (APBTs) or dogs with American Pit Bull Terrier parentage. Rescue shall include: (1) establishing and maintaining care for APBTs; (2) establishing and maintaining a permanent adoption service for APBTs; and (3) recruiting, organizing, and training volunteers to fulfill the mission of the Corporation. B. To promote animal welfare and prevent cruelty to animals. C. To educate the public of issues facing American Pit Bull Terriers through articles, public awareness and events to promote humane treatment of animals, including the responsibilities and duties of ownership of the American Pit Bull Terrier. D. To encourage and facilitate proper veterinary care including vaccinations, spaying and neutering. E. Either directly or indirectly, either alone or in conjunction, or in cooperation with others, to do any and all lawful acts and things to engage in any lawful activities which may be necessary, useful, suitable, desirable or proper for the furtherance, accomplishment, fostering or attainment of any and all of the purposes for which the Corporation is organized, and to aid or assist other organizations whose activities are such as to further, accomplish, foster or attain any of such purposes; provided, however, that the Corporation shall exercise only such powers as are in furtherance of the exempt purposes of the organizations set forth in Section 501(c)(3) of the Internal Revenue Code of 1986 and its regulations as the same now exist or as they may hereafter be amended from time to time. F.The Corporation may also address more general animal welfare issues which affect other animals and livestock. A. The concerns, direction and management of the affairs of the Corporation shall be vested in the Board of Directors. B. The members of the Board of Directors shall be elected, when needed, by a majority of the then-incumbent Directors and shall serve for terms of two years. The Board terms shall be staggered with no more than half the positions being open for election in any one fiscal year. After each member of the initial Board has served two years, the Board of Directors will, by agreement or by method of chance (e.g. drawing of straws), will begin the staggered terms process by choosing which positions will be open for election in the third year of the Corporation's existence. The remaining Board positions will be up for election in the following years. C. The Board of Directors shall be composed of at least three (3) members, or as many members as the existing Board elects by majority. The Board of Directors may also appoint Advisory Directors at its discretion, but Advisory Directors shall not vote on any business matters. D. In case any Director shall by death, resignation, incapacity to act, or otherwise cease to be a Director during his or her term, his or her successor shall be chosen by the Board. E. Meetings of the Board of Directors shall be held at such times and places as shall be fixed by the Board. F. Special meetings of the Board of Directors may be called by the President, or by the Secretary when requested to do so in writing by any Director. G.A majority of the members of the Board of Directors shall constitute a quorum. H.Telephonic or internet meetings of the Board of Directors may be held provided all Board members agree to be bound by any vote taken. Should any Board member not agree, such telephonic or internet meetings will be deemed void. The sole exception to this may be the unavailability of one or more Board members, where all other Board members agree that the urgency of the matter under consideration requires immediate action. I. If any member of the Board of Directors shall be absent from three (3) consecutive meetings without notification, or for any other reason, a majority of the remaining Directors may remove him or her from the Board and the vacancy so caused shall be filled as herein provided for the filling of vacancies in the membership of the Board of Directors. J. Except as otherwise prescribed in these bylaws, decisions at any meeting of the Board of Directors or meeting of any committees, shall be by majority vote of those present and voting. Each Director shall have one vote. K. The Board of Directors may appoint an Executive Committee composed of three (3) members or more, and such committee shall include the President, Treasurer and such other members as may be elected by the Board. The Executive Committee shall have and may exercise monetary discretion not to exceed a decided upon amount without prior approval of the Board and such other powers as the Board may delegate in advance. The Executive Committee may not exercise any such discretion or powers except upon the unanimous consent of all its members. All powers not specifically delegated to the Executive Committee in advance of their exercise shall be reserved to the Board. The Board may provide for such other committees as the Board deems desirable and may delegate to such committees such duties and powers periodically as it deems necessary. A.The Board of Directors shall elect from among its members a President, Vice-President, Secretary and Treasurer. It may choose such other officers as the business of the Corporation may require such as Vice Presidents. All the officers shall hold offices for terms of two years. However, at the pleasure of the Board of Directors any officer may be replaced and no officer shall serve beyond the time when their respective successors shall be elected and shall qualify. B.Whenever any vacancy shall occur in any office of the Corporation by death, resignation or otherwise, the vacancy shall be filled by the Board of Directors. C. The President shall preside over and may call meetings of the Board. The President shall aid the Board of Directors in the overall operation of the Corporation and all such activities of any type (ranging from disseminating information regarding animal care or financial matters, to media contact and advertising) necessary to meet the goals of the Corporation. D. The Vice-President shall fill all functions of the President when the latter is incapacitated, unavailable or for any reason cannot serve. The Vice-President will also direct or participate in, if possible, such activities as described above, or such that are requested by the President. E. The Secretary shall take and preserve minutes of all meetings of the Board, shall notify Directors of regular and special meetings, mail membership and thank-you letters and perform other duties which may be assigned by the Board or the President. The Secretary shall be responsible for the safekeeping of all correspondence and records. F. The Treasurer shall receive and deposit in the bank all moneys, and shall keep records of the same. The Board of Directors and Executive Committee may have access to records. The Treasurer will prepare regular or special reports as needed. G. Officers shall be classified as volunteers and shall not receive any salaries or fees for their services; provided that officers may be reimbursed for any expenses incurred in the fulfillment of their duties. The Corporation shall make no loans of any kind to any officer or Director. H. Rescue Coordinator. 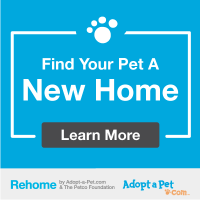 For this Corporation, "rescue" is defined as any activity on behalf of the Corporation that involves the taking of an animal in need of rescue (due to abandonment, neglect, abuse, or other situation requiring re-homing or placement of the animal). Rescue shall occur only after the rescuer had obtained the authorization of the Corporation's president or duly authorized rescue coordinator. No member may use the name of the Corporation to obtain a rescue animal without the proper authorization and the Corporation is not liable in any way for unauthorized rescue activity by its members. The rescue coordinator may be an individual or individuals or an entity authorized by the Board to perform rescue activities for the Corporation. The Rescue Coordinator position may be a Board position upon a majority vote of the Board members. Each individual named Rescue Coordinator will have to be voted on to have Board membership. The Rescue Coordinator will meet the criteria for services, including records to document each rescue and adoption, as imposed by the Board. At a minimum, the Rescue Coordinator will document how each animal handled was evaluated for health and temperament and how the potential adopters were screened, educated, and informed of information pertinent to the placement of the animal. I. Initial Board Composition. The individuals listed as Directors on these Bylaws shall serve as the Corporate Board of Directors and chose first group of Board members who will then assume the Officer positions according to their own devices, with the individuals listed as Directors on these Bylaws then becoming non-office holding Board members so that the initial Board will consist of three officers and four non-officer Board members. (a)Location. Meetings of the Corporation shall be held at least semi-annually at such place, date, and hours as designated by the Board. (b)Notice. Written notice of each such meeting shall be sent (by regular United States mail, by electronic mail, by facsimile transmission, or, if requested by the member, by other reliable means) by the Secretary at least 30 days prior to the date of the meeting. The quorum for such meeting shall be 20% of the regular membership in good standing. Except for good cause shown (as determined by a majority of the Board), any regular member may appear at the Corporation meeting by telephone or videoconferencing. Any member wishing to attend using this technology must make arrangements to do so at the member's expense and give at least 7 days notice to the President of how and where the Board member can be reached at the time of the meeting. Failure to be available at the designated time and in the designated manner constitutes a waiver of the request. Special meetings may be called by the President, or by a majority vote of the members of the Board who are present and voting at any regular or special meeting of the Board, and shall be called by the Secretary upon receipt of a petition signed by three members of the Corporation who are in good standing. Such special meetings shall be held at such place, date, and hours as may be designated by the person or persons authorized herein to call such meetings. Written notice of such a meeting shall be sent (by regular United States mail, by electronic mail, by facsimile transmission, or, if requested by the member, by other reliable means) by the Secretary at least 10 days prior and not more than 30 days prior to the date of the meeting, and no other Corporate business shall be transacted thereat. The quorum for such a meeting shall be 20% of the regular membership in good standing. All voting members in good standing (that is, whose fund raising obligations for the current year have been fulfilled) shall be entitled to vote at any meeting of the Corporation at which he is present. Proxy voting will not be permitted at any Corporate meeting or election, but members who appear telephonically or by video-conferencing may vote. The Corporate fiscal and official year shall begin on January 1 and end on December 31. The elected Officers and Board members shall take office on January 1st, and each retiring officer shall turn over to the successor in office all properties and records relating to that office by the following January 15th after the election. The annual meeting shall be held between September and December, at which time Officers and Directors for the ensuing year shall be elected by secret, written ballot from among those nominated in accordance with Section 4 of this Article. Ballots shall be counted at the meeting by three (3) inspectors of election who are members in good standing and who are not members of the current Board. The nominated candidate receiving the greatest number of votes for each position shall be declared elected. No person may be a candidate in a Corporate election who has not been nominated. During the month of September, the Board shall elect a nominating committee consisting of three members, not more than one of whom may be a member of the Board. The Secretary shall immediately notify the Committee of their selection. The Board shall name a Chair for the Committee, and it shall be the Chair's duty to call a meeting which shall be held on or before September 30th. (a) The Committee shall nominate one candidate for each office of the Board after securing the consent of each nominee so chosen. The Committee shall then submit its slate of candidates to the Secretary on or before October 15th, so that additional nominations may be made by the members if they so desire. (b) Additional nominations may be made by written petition addressed to the Secretary and received at the Secretary's regular address on or before October 31st, signed by a least three (3) members and accompanied by written acceptance of such additional candidate signifying his/her willingness to be a candidate. No person may be a candidate for more than one position, and the additional nominations provided for herein may be made only from among those members who have not accepted a nomination of the nominating committee. (c) If no valid additional nominations are received by the Secretary on or before October 31st, the Nominating Committee's slate shall be declared elected and no election meeting and no balloting will be required. (d) If one or more valid additional nominations are received by the Secretary on or before October 31st, the Secretary shall, on November 1st, mail to each members in good standing, a ballot listing all nominees for each position in alphabetical order, together will a blank envelope and a return envelope addressed to the Secretary marked "Ballot" and bearing the name of the member to whom it was sent. So that the ballots may remain secret, each voter, after marking his/her ballot, shall seal it in a blank envelope which in turn shall be placed in the second envelope addressed to the Secretary. The inspectors of the elections shall check the returns against the list of members whose dues are paid for the current year prior to opening the outer envelopes, and shall certify the eligibility of the voters as well as the results of the voting which shall be announced at the election meeting. Any member may prefer charges against a member for alleged misconduct prejudicial to the best interests of the Corporation. Written charges with specifications must be filed in duplicate with the Secretary, together with a deposit of $50.00 which shall be forfeited if such charges are not sustained by the Board following a hearing.The Secretary shall promptly send a copy of the charges to each member of the Board or present a copy of the charges to them at a Board meeting, and the Board shall first consider whether the actions alleged in the charges, if proven, might constitute conduct which would be prejudicial to the best interest of the Corporation. If the Board considers that the charges do not allege conduct which would be prejudicial to the best interests of the Corporation, it may refuse to entertain jurisdiction. If the Board entertains jurisdiction of the charges, it shall fix a date of a hearing by the Board not less than three weeks nor more than six weeks thereafter. The Secretary shall promptly send one copy of the charges to the accused member by registered mail together with a notice of the hearing and an assurance that the defendant may personally appear in his own defense and bring witness if he/she wishes. Any Board member or officer, party to the charge (complainant or defendant) and any witness may appear telephonically at the hearing if the President consents. Requests for telephonic appearance must be made in writing and sent to the President at least (by regular mail, facsimile transmission, or by electronic mail) at least five days before the hearing. The Board shall have complete authority to decide whether counsel may attend the hearing, but both the complainant and defendant shall be treated uniformly in that regard. Should the charges be sustained, after hearing all the evidence and testimony presented by complainant and defendant, the Board may, by a majority vote of those present, suspend the defendant from all privileges of the Corporation for not more than six months from the last day of the hearing. And, if it deems that punishment insufficient, it may also recommend to the membership that the penalty be expulsion. In such cases, the suspension shall not restrict the defendant's right to appear before his fellow members at the ensuing club meeting which considers the Board's recommendation. Immediately after the Board has reached a decision, its finding shall be put in written form and filed with the Secretary. The Secretary, in turn, shall notify each of the parties of the Board's decision and penalty, if any. Expulsion of a member from the Corporation may be accomplished only at a meeting of the Corporation following a Board hearing and upon the Board's recommendation as provided in Section 3 of this Article. Such proceedings may occur at a regular or special meeting of the Corporation to be held within 60 days but not earlier than 30 days after the date of the Board's recommendation of expulsion. The defendant shall have the privilege of appearing in his own behalf, though no evidence shall be taken at this meeting. The President shall read the charges and the Boards' finding and recommendations, and shall invite the defendant, if present, to testify if that person so desires. The meeting shall then vote by secret written ballot on the proposed expulsion. A 2/3 vote of those present and voting shall be necessary for expulsion. If expulsion is not so voted, any suspension voted by the Board shall stand. A. All meetings of the Board of Directors and any committees shall be conducted pursuant to Roberts Rules of Order as set forth in the last published revision thereof. B. The fiscal year of the Corporation shall be the calendar year. C. Dissolution. The Corporation may be dissolved at any time by the written consent of the not less than 2/3 of the voting members. In the event of the dissolution of the Corporation, whether voluntary or involuntary or by operation of law, none of the property of the Corporation nor any proceeds thereof nor any assets of the Corporation shall be distributed to any members of the Corporation, but after payment of the debts of the Corporation its property and assets shall be given to a charitable organization, for the benefit of animals, selected by the Board of Directors. E. All available funds of the organization shall be used to further the nature and purpose of the Corporation as stated in Article II and to be disbursed among other non-profit animal organizations. The bylaws of the Corporation may be amended, repealed or added to, or new bylaws may be adopted by the vote or written assent of a majority of Directors at a meeting duly called for such purpose.